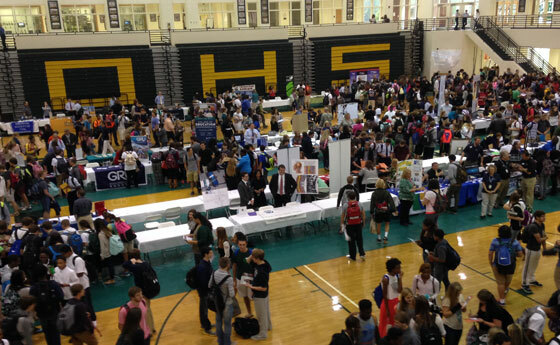 Each year, thousands of high school Georgia seniors go off to college only to return home with no degree in hand, large amounts of student debt, and even worse, a degree and only to find themselves facing unemployment or underemployment. The construction industry provides great opportunities and is a viable option for many to start working towards career right out of high school. The Mechanical Trades Institute is just one of many of the apprenticeship training programs in Georgia that has known this for years. Attending Mechanical Trades Institute provides the opportunity to learn a valuable trade and become a highly skilled journeyman. MTI provides a five year structured program of training to prepare individuals for occupations in skilled trades and crafts. 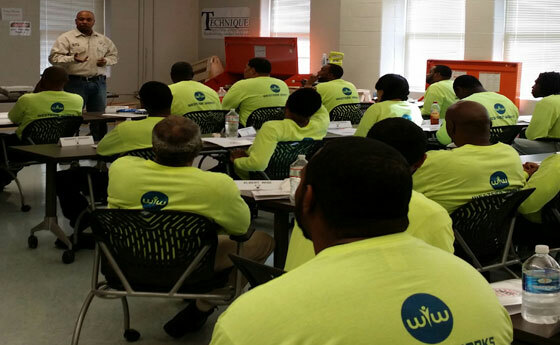 It combines classroom instruction with on-the-job training under the supervision of experienced journeymen workers. Apprentices who successfully complete the program are rewarded certificates of completion from the Department of Labor and with a few additional classes can receive an associates degree. Like a diploma, your certificate is good anywhere in the country. Pay Scale 1st year $12.90, 2nd year $15.35, 3rd year $18.40, 4th year $21.50 and 5th year $24.55. After completion of the required classes, certification(s), and on the job training hours, an apprentice will turn out as a journeyman making $30.68 per hour. Cost of program is a $20.00 registration fee plus cost of books (arrange from $400.00-$600.00) for the first year. After the first year, if you maintain an 80 average or above and in good standings at Local Union 72, books will be paid for by the scholarship book fund for the following year. Apprentices receive instruction in the areas of drafting/general piping, math/science, medical gas certification, backflow certification, oxy-acetylene cutting, brazing, soldering, refrigeration, welding, pneumatic/electric controls, green awareness technology, plumbing code, plumbing service, and building automation. Be employed by a member of the Mechanical Contractors Association of Georgia. Train with a professional journeymen from the Plumbing, Pipefitting & Service Technicians in Local Union 72. Work on major construction projects. Receive training in all areas. Earn excellent starting pay and be eligible for a pay increase once a year. Be eligible for all union benefits, medical insurance, and retirement plan. Graduation requirements include completion of a five-year apprenticeship program with over 10,000 hour of training (over 1100 hours of classroom training and at least 8,500 hours of on-the-job training). The Mission of the MTI-72 Training Center is to instruct our apprentices to a level of excellence that maximizes their employability skills in all industries of our jurisdiction and ensures that they will meet or exceed the level of professionalism required to carry on our proud heritage in the Piping and HVACR Trades. We are also committed to making training opportunities available to equip our journeymen with the skills necessary to stay competitive in our technologically changing world. By facilitating these training needs and requirements we are enhancing the employment opportunities of our apprentices while remaining fiscally responsible to the beneficiaries of the training funds. This opportunity has truly become a secret to many high school students, teachers, in Georgia. Many are not hearing about the demand for skilled tradesman and the earning potential that exists in the construction trades industry. The Mechanical Trades Institute has begun spreading the word about the opportunities in the Pipe Trades Industry one school at a time. 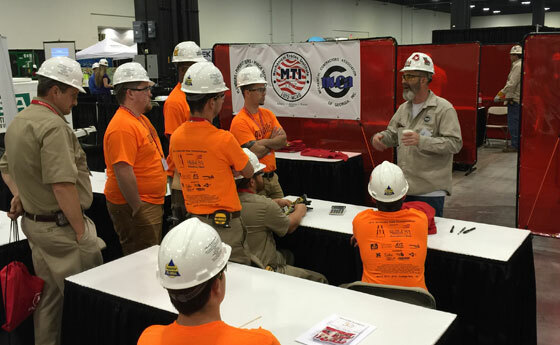 Last year, our instructors participated in over fifty career related activities at trade school, technical schools, traditional high school, and high school career academies. When time permits, Mechanical Trades Institute is available for small group or class presentations, class demonstrations, career fairs, other career activities, or to tour one of our school facilities. Contact Greg Webster, Training Director at 404-696-7121 ext. 230 or email gregw@72jatt.com to inquire about setting up a pipe trades apprenticeship opportunities. With more than 7.2 million employees nationwide, industrial and commercial construction has long been one of the nation’s largest industries. But today, construction company owners across the nation and right here in Georgia are facing a growing shortage of tradesmen such as pipefitters, steel workers, boilermakers, electricians and carpenters. But when you learn a construction trade, the industry’s big problem can become your big break. The skills of construction tradesmen are in high demand, and with a 19% projected growth rate through 2018, the construction industry has the potential to take you farther (and pay you more) than the corporate ladder ever could. A union is a democratic organization of employees in a workplace who choose to join together to achieve common goals. By forming unions, employees can work collectively to improve working conditions, including wages and benefits, hours and job safety, to resolve disagreements of employees and employers and to find the best ways to get the work done.Unions also represent members and all people who work by advocating working family-friendly laws and policies through legislative and political action. Most people who work in this country have the right to form and join unions under the 1935 National Labor Relations Act (NLRA), which encourages union formation. Training programs and apprenticeships are at the heart of unions’ efforts to ensure that working men and women have a voice in our country's ever-changing economy. Every year, the labor movement trains more than 450,000 workers. Through union apprenticeship programs, individuals gain life-changing skills to do high-quality work and get solid, middle-class jobs—often in new industries with cutting-edge green technology. We also harness public workforce resources to help working people gain access to training opportunities and overcome the challenges of losing a job. And along with employers who are willing to work together to share the benefits as well as the costs, we spearhead partnerships that lead to improved job satisfaction for workers, high productivity for employers and a top-notch, skilled workforce that ensures the quality and innovation essential for competing in a global economy.